Agriculture is the lifeblood of Uganda’s economy and the source of livelihood for majority of the population. Over the past decade however, the sector has registered less than optimal growth, leaving it hardly able to support the millions of people who depend on it. The sector’s below par performance has been attributed to a number of obstacles ranging from the limited funding, misallocation of resources, wastage, and inneffectiveness of advisory services, unfavourable weather patterns and inadequate access to capital among others. The Parliamentary Committee on Agriculture Animal Industry and Fisheries is mandated to supervise government’s spending, policy implementation and prioritisation in the Ministry of Agriculture in order to ensure value for money for tax payers. In an exclusive interview with The Sunrise’s Henry Lutaaya, Hon. Lowila Oketayot, the Chairperson of the Sectoral Committee reveals that her committee has made tremendous strides in ensuring that the sector is able to create wealth for the majority of Ugandans who depend on it. One of the committee’s foremost achievements, she says, is the fact that they managed to get government to once again recommit to reviving advisory services through allocating funds to recruit extension workers. Once regarded as one of the seven pillars of the government’s efforts to eradicate poverty under the Plan for Modernisation of Agriculture, advisory services have consistently been under-looked over the years, with priority being given to provision of inputs such as fruit seedlings, coffee, even when the population were sensitized to ensure they embraced the relatively new enterprises. Despite featuring as a priority area, extension services never got far enough to attract funding from government. It took the intervention of the committee on agriculture which insisted on allocating funds for the function, that money was eventually put in the budget, which has allowed for the recruitment of some 3400 extension workers. According to Beatrice Byarugaba, the Director Extension services in the Ministry of Agriculture, this represents 60% of the intended 5000 extension workers that government targets to recruit. It is an achievement worth celebrating, according to Oketayot. “I am happy to say that our focus on revamping extension services has paid off. “Despite their critical role in advising farmers on how to confront the many challenges they face such as low productivity, poor quality inputs, pests and diseases, extension workers had remained an unfunded priority for many years. 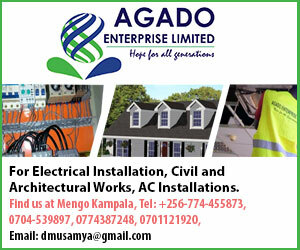 “So I am grateful that we managed to get government to recruit extension workers. We were also successful when it came to ensuring their facilitation. Making sure they have transport, all the equipment to support farmers had been left under unfunded priorities. In the just concluded budget, we managed to secure all the money that was needed for facilitating extension workers was provided. I even asked the director of Extension services to tell me all the money they need and we ensured it is provided 100%. According to the ministry’s plan, every sub-county must have at least two extension workers, one for crops and another animals. But according to Hon. Oketayot, some sub-counties could get another expert in fish farming. She is hopeful that in the next financial year, all the remaining vacancies for extension workers will be filled. Some observers, however, fear that the recruitment of extension workers could create clashes with Operation Wealth Creation (OWC), an army outfit that is currently engaged in the distribution of agricultural inputs, promoting new enterprises such as fruit farming and supervising farmers. Asked on the potential clash, Oketayot was categorical in stating that extension workers are the technical people and will take the lead, while OWC’s role will be restricted to ensuring delivery of inputs. Closely linked with the committee’s work in ensuring the restoration of extension workers, has been their other achievement; the country-wide tour of OWC activities. According to Hon. Oketayot, the committee undertook a comprehensive country-wide assessment of the work of OWC and presented a report on the floor of Parliament that painted a bleak picture of the government’s flagship agricultural intervention. She says OWC has been characterised with widespread wastage of tax payers’ money through procurement of unsolicited and over-priced inputs amid an unsensitized and demotivated populace. She reveals: “Our assessment found that as a country we lose a lot of money through botched procurement exercises. “We found that a lot of inputs are procured and dumped at the sub-counties, especially Mango seedlings, cassava cuttings. She adds: “If the extension workers were in place, they would be able to identify and assess according to their visits what are the needs of the farmers in a particular area. What can empower them in order to produce for the market. “But in other areas, leaders signed for them but had no idea where to distribute them so they dried at the district headquarters. “In our recommendations, we came out very strongly and said that inputs that are taken to any sub-countylevel must be according to the priority of those districts. She argues that with the revival of extension services, the experts will explain to farmers the benefits of the new enterprise. Still in the agricultural sector, the committee has recorded resounding success regarding controlling the proliferation of fake inputs such as animal and poultry drugs, seeds and agricultural chemicals. Indeed, this has been a thorn in the flesh of many farmers and has frustrated the agricultural commercialisation agenda. The decision by the committee to intervene in this sub-sector, goes to show that Parliament listens to the cries of the people. “There has been public outcry on the issue of fake inputs and chemicals all over the country – especially at Container Village in Kampala. The country is currently suffering from fake acaricides. This time we have also said no. We said that we need the Directorate of Inspection and Certification to do their work. Perhaps as a way to send a warning signal to all those involved in criminal activities, Oketayot says officers from the department recently rounded up some people who were dealing in fake inputs in Kampala and Masaka. Addressing the challenges arising from climate change such as prolonged droughts, has not been ignored either. The committee’s role here has been to act as an arbiter between the technocrats in the ministries of water and that of agriculture whom she says previously looked at their sectors as mutually exclusive. “It took some time to resolve the conflicts between the ministry of water and agriculture in order to harmonise the different interests of the two departments. I am happy that these disputes have been sorted and the policy is now out. It spells out the different roles between the ministries of agriculture and that of water and has gone a long way to resolve the previous disputes. With the policy in place, Oketayot says that specific roles have been spelt out, some of which include digging of dams by the ministry of water on the one hand, and development of irrigation infrastructure by the ministry of agriculture closer to farmers. Without irrigation, experts have warned that Uganda’s food security situation will become more precarious. “We cannot continue to depend on rain-fed agriculture. I am also happy that in this budget, some substantial amount of money (About UGX85bn) has been provided to work on irrigation. Although the largest chunk of the money will go towards reviving irrigation schemes, Oketayot is optimistic that this is just a start of a promising future. She promises to remain vigilant and ensure that the dams are not a repeat of history – which has seen so many dams dug but without any water in them hence resulting into loss of tax payers money. At it will not stop As a committee we’re going to move and inspect how the policy is being implemented on the ground. Other areas the committee is interested in going forward is to ensure that access to credit for farmers is made more affordable. Also on the committee’s radar is the need to harmonise the work of the ministries of agriculture and that of trade in as far as promoting marketing of produce and value addition is concerned. In fact, according to Oketayot, the department of cooperatives and small scale industries belongs in the docket of the ministry of agriculture because nearly all members of cooperative organisations are farmers. 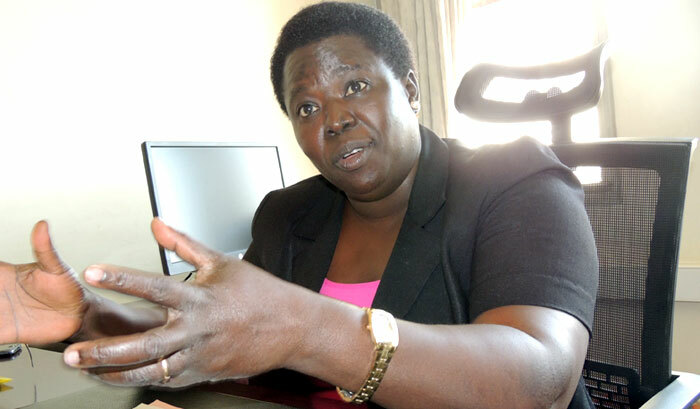 The lack of coordination of the two departments has been a major disservice to Ugandans, and for this reason, she blames the current low prices of produce such as maize, g-nuts, cassava etc, to the lack of interest and understanding among officials in the ministry cooperatives to appreciate the role of cooperatives in price stabilisation through construction of silos.